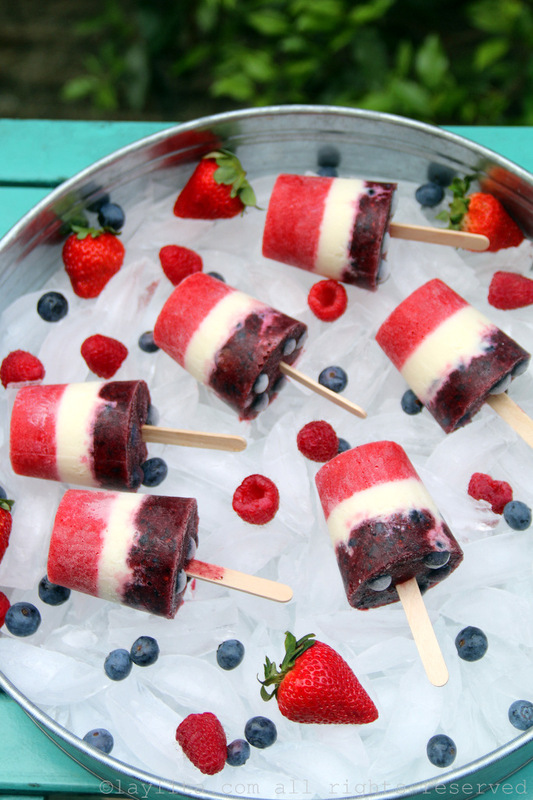 These patriotic red, white and blue popsicles are made with layers of strawberry raspberry for the red layer, a vanilla (or cinnamon) creamy milk white layer, and blueberry blackberry for the blue layer. 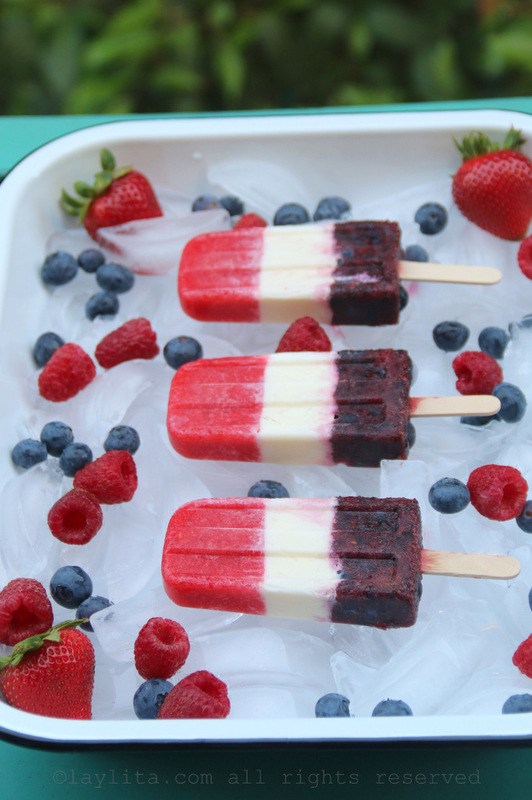 We’ve been on a popsicle craze around here, my freezer barely has room left for anything and is completely full with popsicles and ice pops (zipsicles or bolos as we call them in Ecuador). 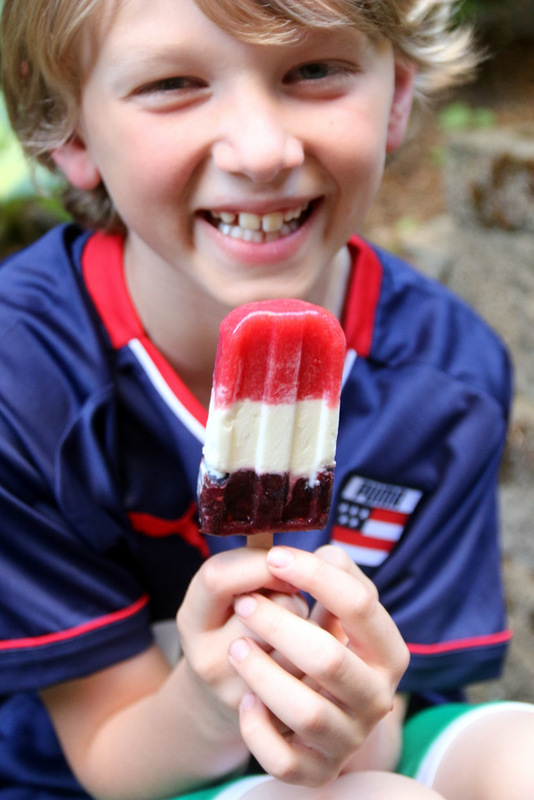 I started making popsicles at the end of May, and the first ones were yellow, blue and red gelatin layered popsicles to support Ecuador in the World Cup. 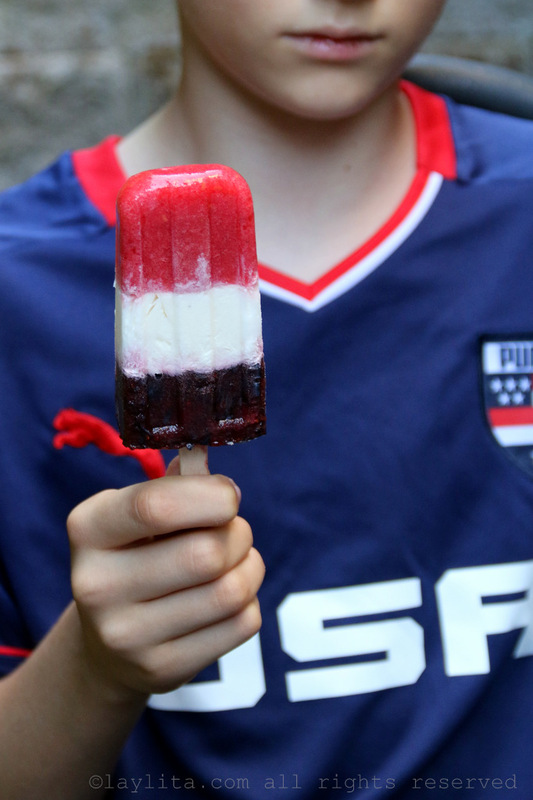 My kids immediately asked for red, white, and blue ones to support the USA team. We also made ones with the Mexico flag colors and some layered with mora (Andean blackberry) and cinnamon milk. Needless to say we are ready for summer, and ready to cheer for our teams. 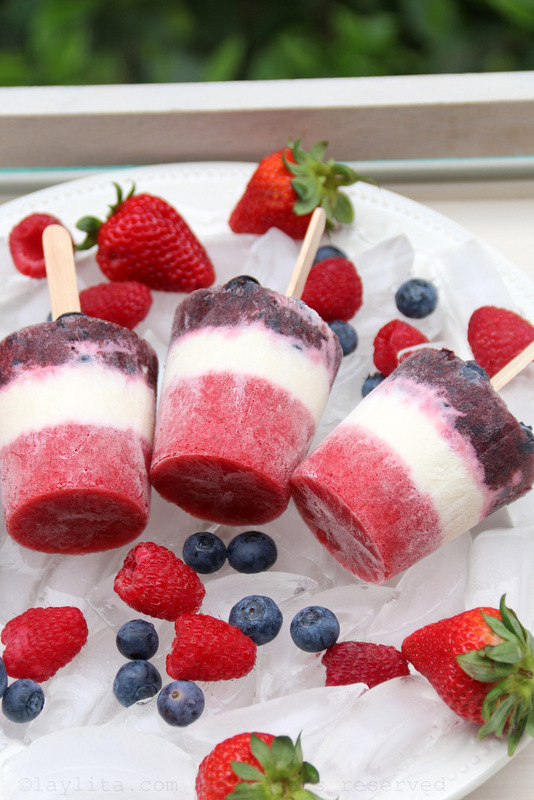 Recipe for patriotic red, white and blue popsicles, made with layers of berries and creamy vanilla/cinnamon milk. Prepare each color or flavor separately and wait until each one is almost frozen before adding the next layer. 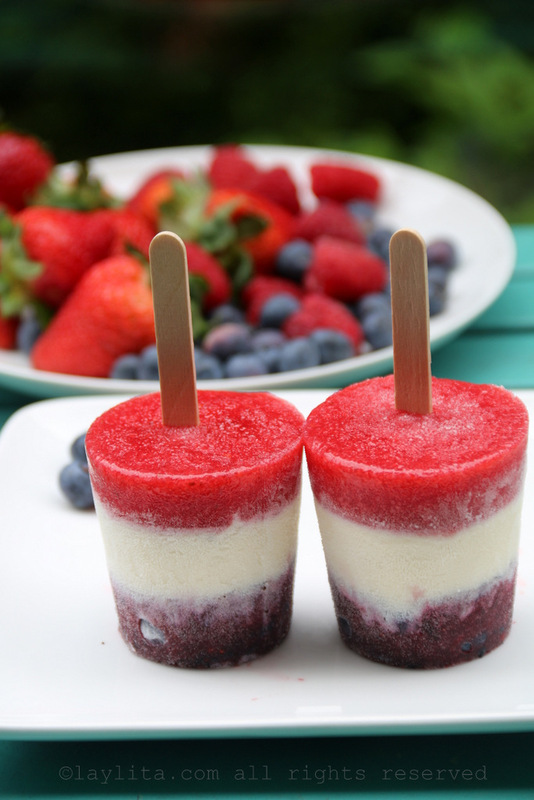 I recommend making the fruity berry layers right before you freeze that layer to make sure the flavor is a fresh as possible. The creamy milk layer can be made ahead of time. You can add the red or blue layer first, I tried both and both options looked great, you can decide based on the photos which you prefer. Combine all the ingredients in a blender and blend until you have a smooth mix, taste and adjust the amount of sugar or honey based on your taste. 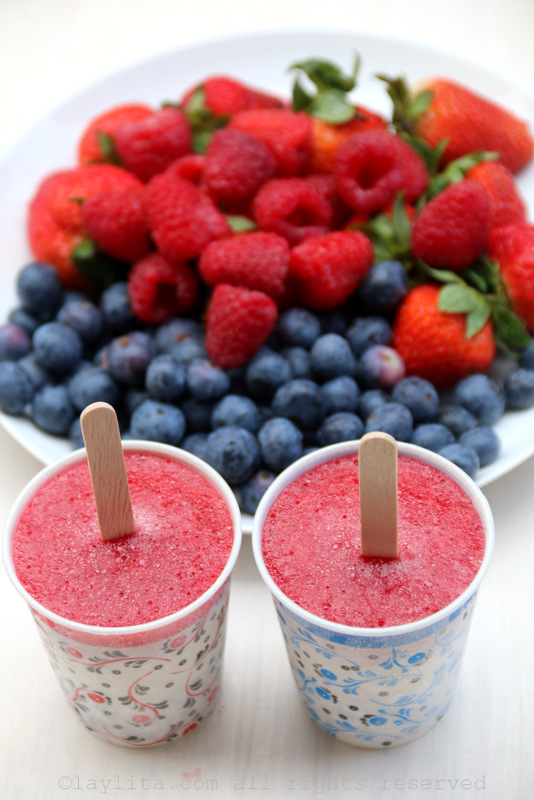 Pour the strawberry raspberry mix into the popsicle molds or cups, it helps to use a small funnel, until it is about 1/3 full. 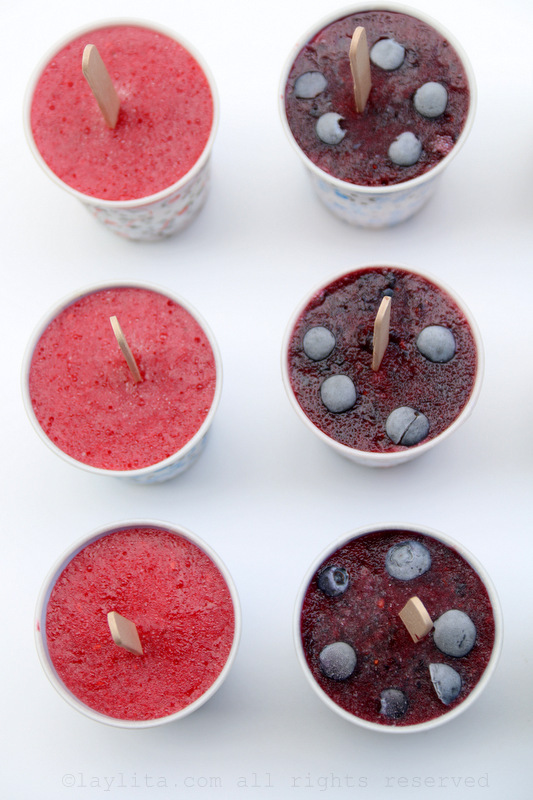 You can add the popsicle sticks at this point, if you have the mold with a lid it will keep them straight, or in the cups they might have a slight tilt. If you want the popsicle sticks to be completely straight, wait until the first layer starts to solidify and add them at that point. Combine the milk, cream, sugar and either a whole vanilla bean or a couple of cinnamon sticks in a saucepan. Heat the mix over low heat for 5-10 minutes, stirring to help dissolves the sugar. If using a vanilla bean, make sure to cut it in half and scrap out the vanilla seeds. If using cinnamon sticks, let it simmer for an additional 10 minutes or until you have enough cinnamon flavor. 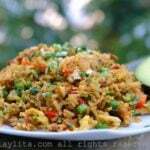 Do not let the mix boil. 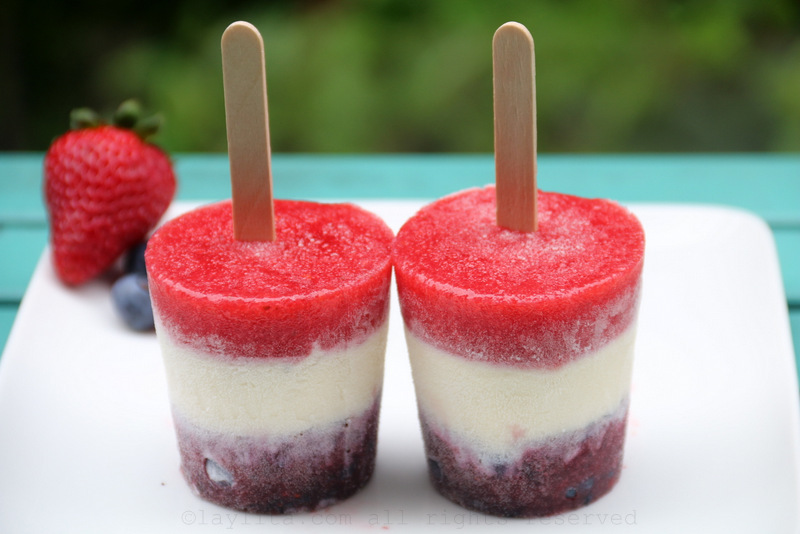 Strain the mix and let it cool down completely before adding it to the popsicle molds. Once the first red layer is almost frozen, pour the creamy milk mix into the molds until they are 2/3 full. Return the popsicles molds to the freezer until this layer is almost frozen. As soon as the second layer is almost frozen, prepare the last layer. Blend the blueberries (and blackberries) – except for halved blueberries – with the honey or sugar and lemon juice until you have a thick puree. 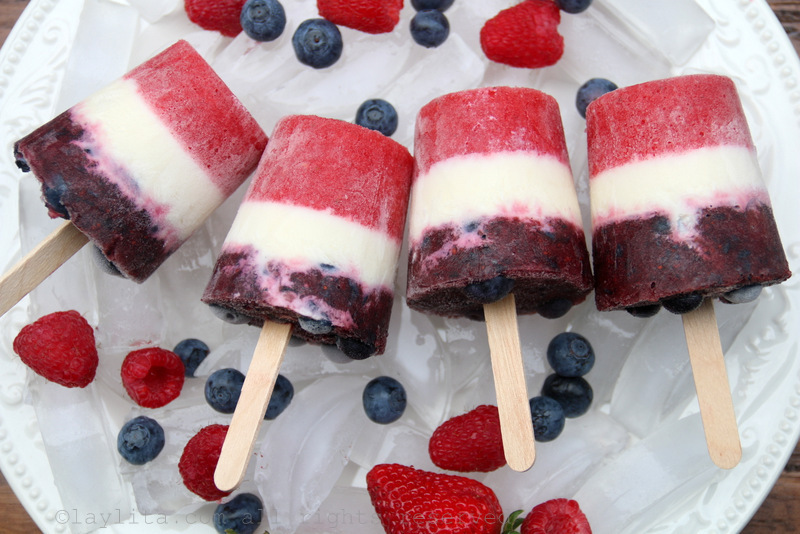 Distribute the pieces of the blueberry halves in each popsicle mold, pour the blueberry mix into the molds until each one is almost full. 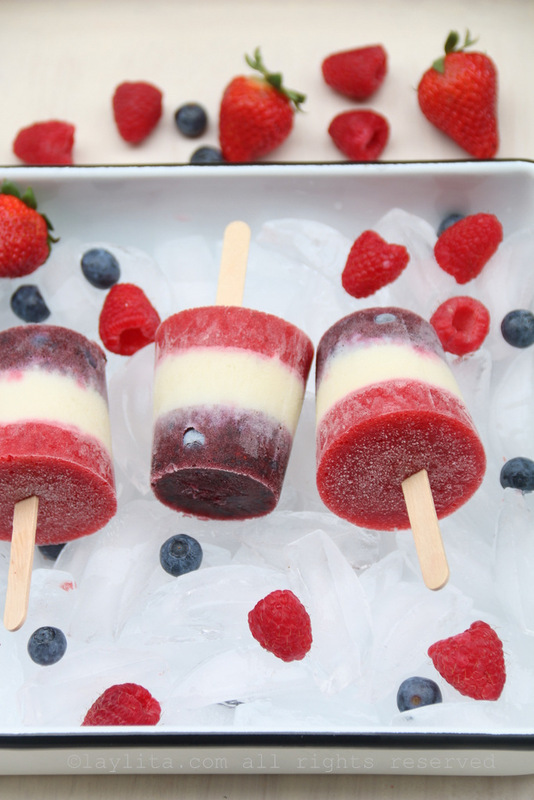 Freeze the popsicles until they are completely frozen, about 3-4 hours. To remove the metal molds, run the mold part under water for a few seconds and gently twist the popsicle stick while pulling the popsicle out of the mold. If using paper cups, simply peel the cups off. 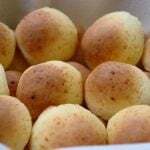 Those look so delicious! I love all the color/flavor combinations you’ve been doing!